It’s true that flossing is the ideal way to clean in between the teeth but, for some people, flossing is difficult and often impossible. People with limited dexterity and some types of dental restorations can make it challenging to clean with regular floss. 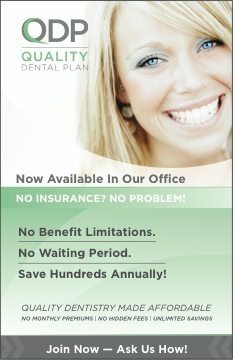 And, for some people, flossing just plain isn’t going to become part of the oral hygiene regimen at home. Thankfully there are options to assist in cleaning the tough in between spaces. 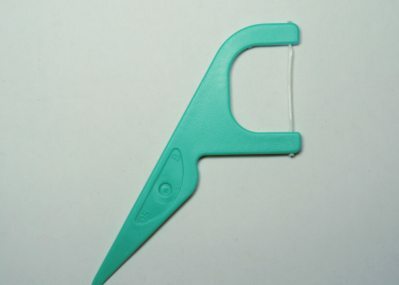 Hand Held Flossers – Essentially this is the same as the traditional way of flossing but allows for easier access and control with the fingers. 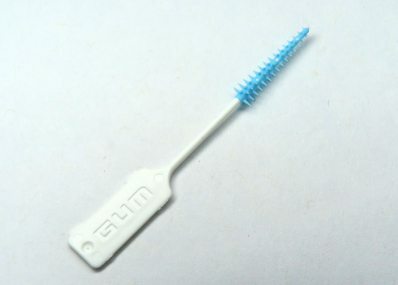 There are different size handles and some have a small “pick” on the end that people often use to clean around the gumline. 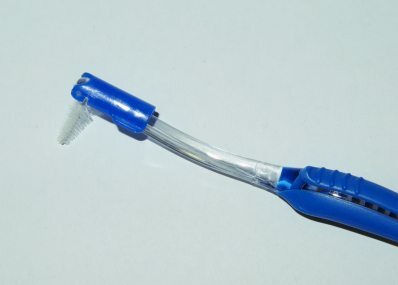 Inter proximal brushes – For larger spaces, a smaller brush (that looks like a bottle brush) can be used. This can be a very effective way to clean as it mechanically disrupts the bacteria. Some people use brushes that affix to a longer handle and there are smaller “travel size” brushes as well. These can be used with or without paste. The brushes need to be replaced fairly frequently as the metal wire,that the bristles are attached to, starts to become flimsy. Soft picks – A relatively newer product that is much like the interproximal brushes but intended for a one time use. Again, there are a couple of different sizes available. Water picks – Water picks were the rage for a while then seemed to lose their luster. In more recent years, the water pick has made a resurgence and can be an effective tool in helping to prevent and control periodontal disease. 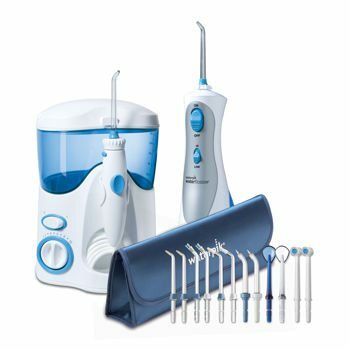 Water picks dislodge food particles, reduce plaque, irrigate around the gumline and newer technology has designed a specialized tip for periodontal pockets which can also be used with antimicrobial solutions for irrigation. Water picks are often recommended for people that have braces as it can aid in cleaning around the metal arch wires and brackets that can easily trap food and plaque. Stimulants – Stimudents are soft wooden cleaners, shaped to clean between teeth and gently massage the gums. 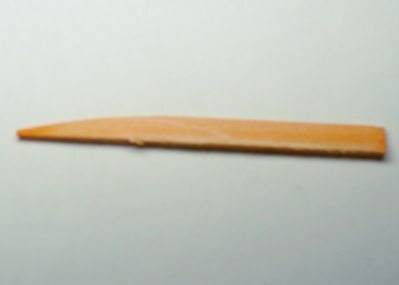 They are very similar to toothpicks and work best for teeth that are spaced further apart. 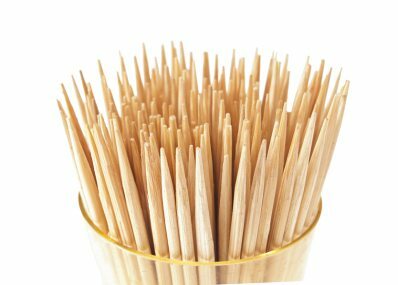 Toothpicks – Toothpicks have long been used for cleaning and work well in a pinch however, care must be taken when using because toothpicks break and splinter easily. Toothbrushing alone is not enough to disrupt and remove the harmful bacteria that cause decay and gum disease. Flossing is commonly recognized as the best tool for cleaning between the teeth and gums but presents difficulty for some people. 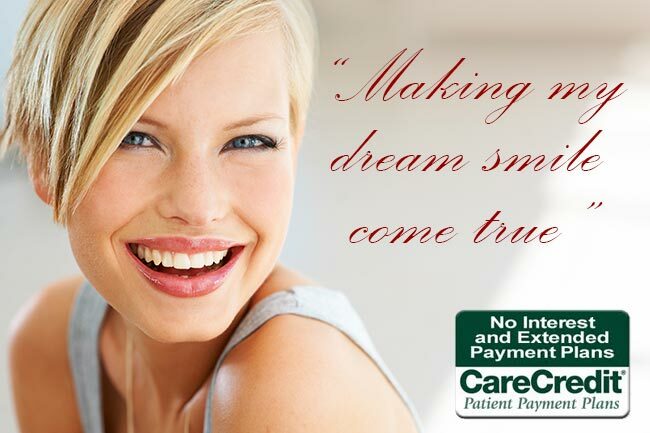 The preceding options to flossing can be effective alternatives to replace, or even be adjuncts to, flossing.